This year’s parts2clean was again very successful for the SITA Messtechnik GmbH. From 23 – 25 October, numerous customers and potential customers took the opportunity to get detailed information about the worldwide proven SITA products as well as innovations. 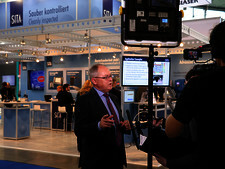 Over the course of three exciting exhibition days, SITA experts answered technical and application specific questions and demonstrated the devices in use. Samples were measured directly. 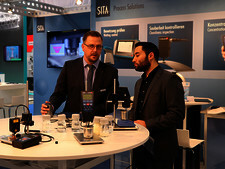 The main focus of the SITA presentation was on the SITA SurfaceTester, a new hand-held measuring device for controlling the wettability by contact angle measurement. 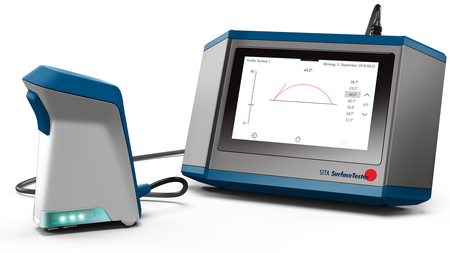 The SITA SurfaceTester completes the SITA product solutions „Concentration Measurement – Cleanliness Inspection – Contamination Monitoring“ by “Wetting control”. The presentation of our application specialist Tilo Zachmann at the innovation forum impressively showed application examples and advantages of the innovative measuring device. 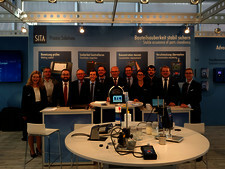 The SITA SurfaceTester raised great interest among the visitors. The device is introduced into the market in spring 2019. As international leading trade show for industrial parts and surface cleaning, the parts2clean has become an important event within the event calendar of SITA Messtechnik GmbH. In this year, we again were able to generate a significantly higher number of qualified customer contacts as well as engage in expert discussions with national and international audience. SITA is now more than ever an integral part of the industry as well as a competent partner supporting customers and potential customer with individual solutions for quality assurance and with process management for parts cleaning. 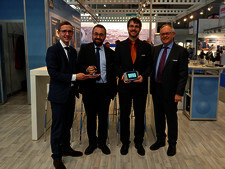 SITA will exhibit again at the parts2clean 2019, from 22 – 24 October.